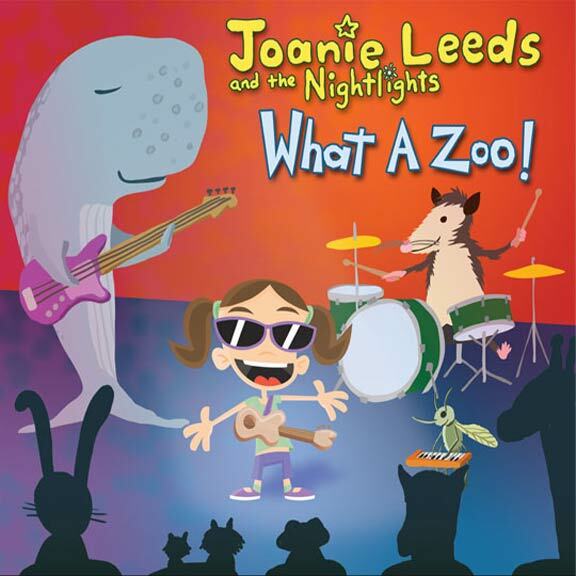 I’ve struggled with Joanie Leeds’ music since being introduced to it with her last album, I’m a Rock Star. I think there’s a fine line between aiming music at kids and pandering to them, and it’s one that Leeds doesn’t always tread successfully; she has a fondness for slick, sugary production and cuteness that verges on the saccharine. Listening to her albums can sometimes feel like sitting in a room with someone who won’t stop smiling — it’s pleasant, but a little exhausting. This entry was posted in Music and tagged CD Review, Jeff Giles, Joanie Leeds on March 18, 2011 by Jeff Giles. Do you remember listening to your favorite music as a kid, and imagining that you were the one singing those words in front of a screaming crowd? 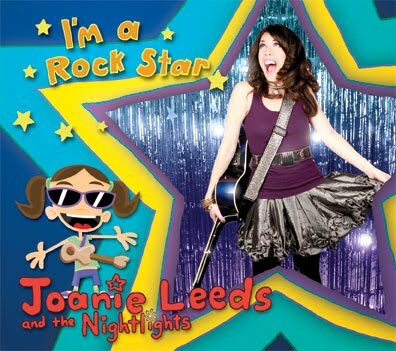 Joanie Leeds does — hence the title of her album I’m a Rock Star, which is not the presumptuous boast it may seem; in fact, it’s a wide-eyed look back at the musical excitement of youth, and it’s just the opening track of a solidly crafted, smartly arranged, wonderfully produced 13-track collection, all topped off with Leeds’ big, bright voice. As you’d expect from an album credited to Joanie Leeds and the Nightlights, I’m a Rock Star will get the most mileage from younger listeners, but what sets Leeds apart from the pack is her way with a killer pop hook — songs like “Put a Smile on Your Face” are great for kids, but more importantly, they’re just plain catchy — as well as the sense of humor that makes silly cuts like “I Was an Elf” worth repeat listens. And then there’s “Give Me a Hug,” which is a bona fide pop jewel. Like a lot of kindie performers, Leeds tried her hand at adult pop before migrating youthward, but unlike many of her peers, she never comes across as condescending; you get the sense she’s just a songwriter who loves kids, and that — along with her relative restraint when it comes to sugar-frosting her uptempo numbers with unnecessary silliness — makes Rock Star worth a spin for the whole family. 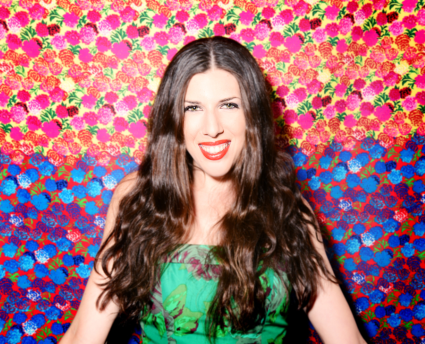 This entry was posted in Music and tagged CD Review, Jeff Giles, Joanie Leeds on February 23, 2010 by Jeff Giles.